My littlest daughter is about 14 months old and is SO FUN to play with right now! Little toddlers are so curious and energetic and it is fun to watch! 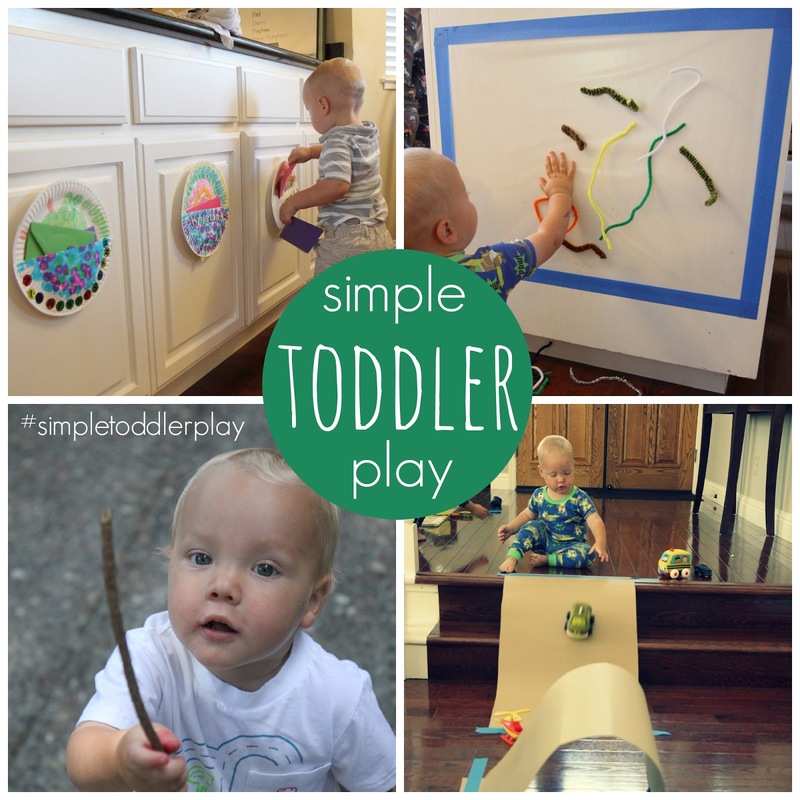 There are so many fun ways to play with them! Most of my day is spent shuttling my older kids around, running errands, making sure naps happen, and cleaning my house! With four kids, plus my job, plus an active social life, there is often very little time to play. Trying to find time to fit in playtime with my daughter is tricky. I miss the days when I had my oldest two kids and they hadn't started school yet and we could play all day! We did so many neat projects and went on so many adventures. 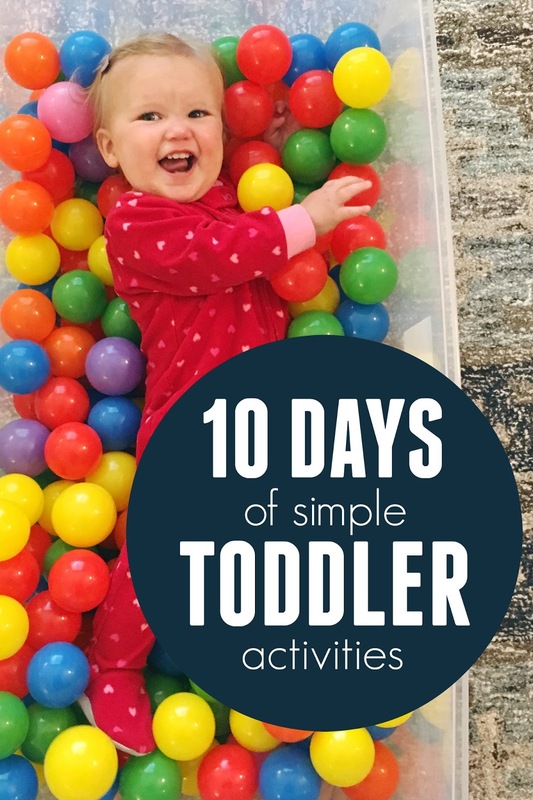 In an attempt to let my littlest experience just a little taste of what my big kids enjoyed, I am setting a goal to do AT LEAST ONE simple toddler-friendly activity with my daughter each day over the next 10 days (weekdays!). 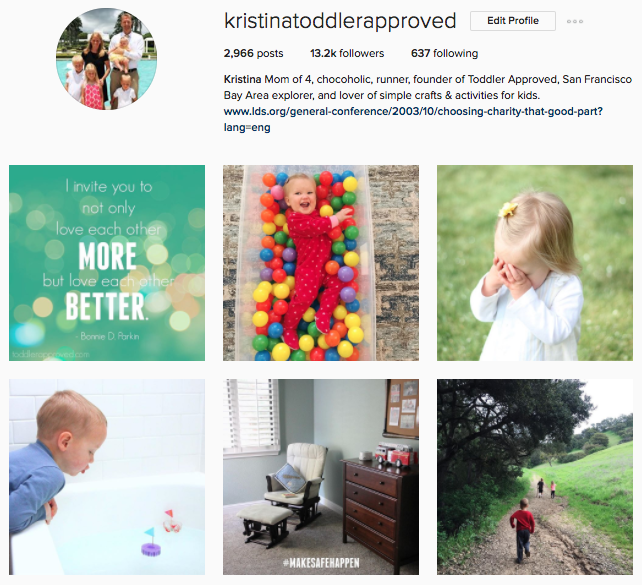 I'll be sharing the activities over on Instagram (I'm @kristinatoddlerapproved) and linking them on this page. I may also share a few brief activities here on the blog too, but I'll make sure to link them to this page as well. That way if you bookmark/pin this page, it will be easy to find all 10 days. Just scroll down and they will be here for you! Over the next 10 weekdays I will share the materials that will be needed for each activity the day beforehand on Instagram stories. Do you follow me on Instagram yet? I'm @kristinatoddlerapproved and I love posting photos of our family, simple activities, and occasionally inspirational quotes. This photo below was posted on my @kristinatoddlerapproved Instagram Stories tonight. These things will be used to help us have fun with our simple toddler activity tomorrow. I'll try and post our daily activity sometime in the morning each day (California time) so that you can try it out! 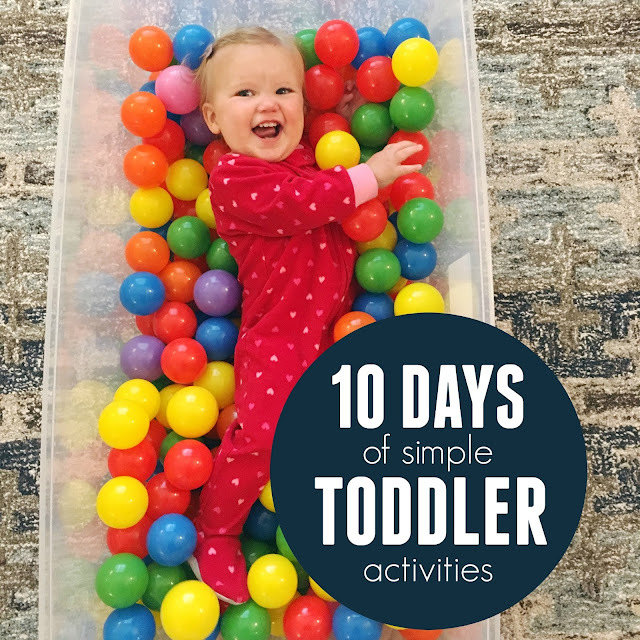 Feel free to use the hashtag #simpletoddlerplay if you try out one of the activities that we suggest and post a photo of it on social media. It is always fun to have other people join us when we do challenges! 3. Make sure to label any photos you post on Instagram with the hashtag #simpletoddlerplay so that EVERYONE following along can check out your activity too. If you're not on Instagram, don't worry! You can still share photos or tell us your ideas. Just add them to the comments here or pop over and share any photos on our Toddler Approved Facebook Wall. Make sure you pop over to my Instagram account later today and check out what we're up to. Look for the #simpletoddlerplay hashtag since I share other random things on there too! 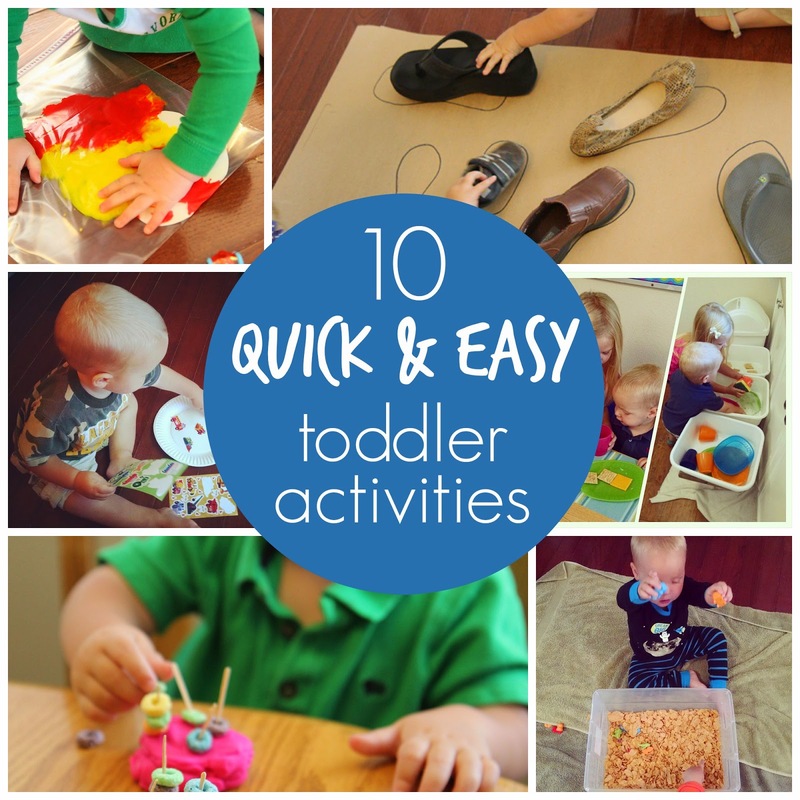 Need some other toddler ideas? 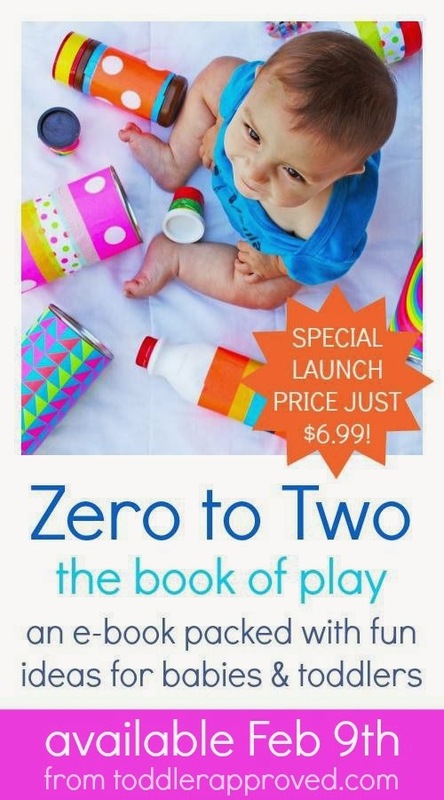 Did you know I have an e-book?